Prominent & Leading Manufacturer from Bengaluru, we offer wooden dining furniture and wooden dining table set. We offer a creative variety of Wooden Dining Furniture for Tables and Chairs that elevates the mood to fine dining experience. These tables and chairs are made in various sizes such as four seater, six seater and twelve seater to meet the requirements of the clients. We also offer customization in design and preferences of woods to be used. The range comes in most affordable prices. Moreover, these are ideal for homes, restaurants, guest houses and hotels. We offer high quality of Wooden Dining Table Set. Available in different lovely designs and patterns, our products are available at very reasonable prices. This kind of dining table set is usually found at home, restaurant and cafeteria. 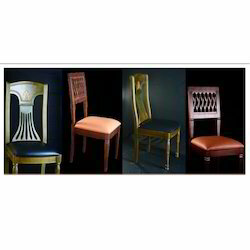 Looking for Wooden Dining Furniture ?